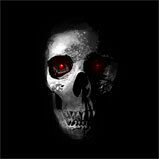 why do people say that you should be afraid of the living not dead but poltergeists can hurt you tho!!! Hi and welcome to the forums Ghost Hunter...I'm not convinced that a poltergeist can hurt you.. It is still unproven that one is actually a spirit or the power of our own mind doing it. Our fears cause us to do things we normally would not do. Controlling ones fear can help you control a situation. I believe that ghost or these "poltergeist" use that fear against you. This of course is my opinion. I agree with you YB.